Save £1.00 when buying our unique baking mixes together in this beautiful Creative Nature Vegan Baking Mixes set! 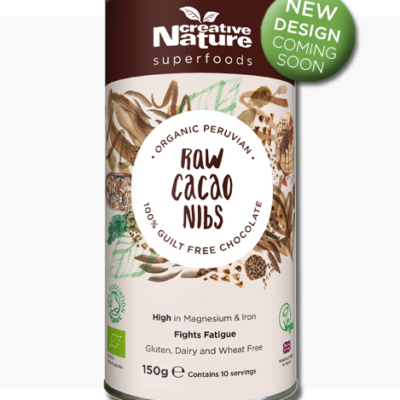 When we decided to use our Superfoods to create tasty, healthy baking mixes, we didn’t want to cut out any potential customers, and we needed something nut free and accommodates everyone! 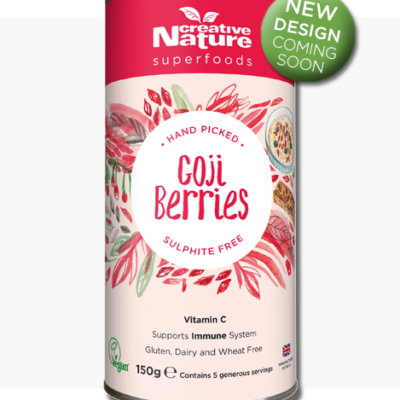 So after doing a lot of research and spending every evening after work in the kitchen, we came up with the perfect recipe that caters for all allergens, is organic and also has a high enough percentage of Superfoods to offer tested health claims. 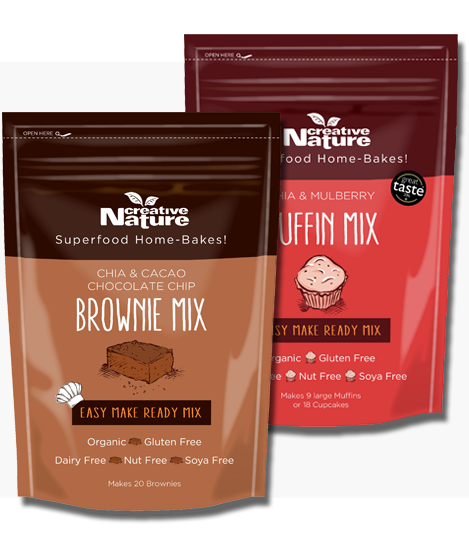 If you’re unsure of which healthy baking mix to try and get, then we highly recommend trying out this Creative Nature Mixed Mixes set as it will allow you to try out both the muffin and the brownie mix and see which one you love most! There is even a Vegan recipe on the back of pack to make things really easy for you! Make sure to check out our Instagram page to see some amazing recipe ideas created by our customers and bloggers. You can also visit our Recipes section of our website to get some inspiration!